Mini One on One Champs! Lizotte, Elmore, Manning to SHU! Julia Pellerin commits to Boston College! 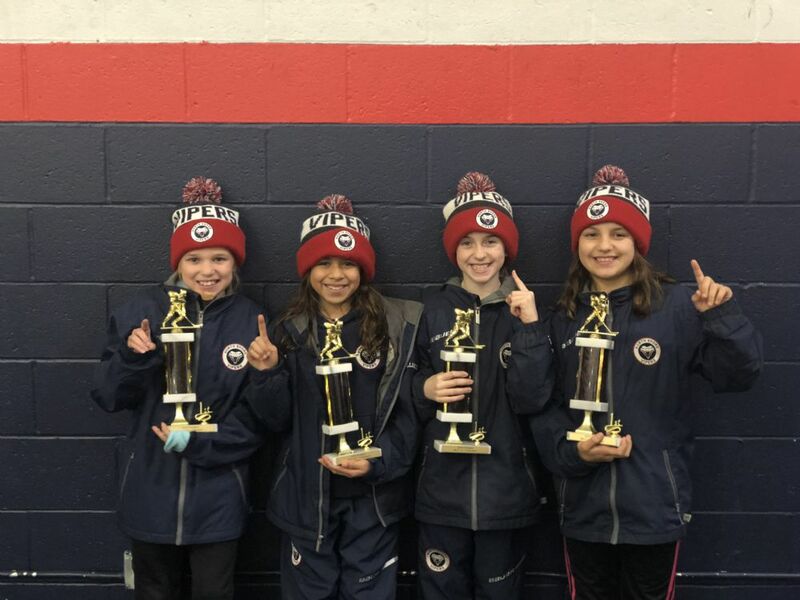 Congratulations to four members of our U10 tier 1 team on winning the Boston Bruins mini one on one on 11/18/18! Shae Gould, Bella Krokos, Julia Lambert and Cecilia Riiff represented the Vipers. After winning the championship round against the Spitfires, the players will be sent to San Jose, CA for the NHL All Star weekend! All four players will be able to attend the skills competition and the all star game. Thanks to the Boston Bruins for a great event and congratulations to our players! Congratulations to Sammy Taber on her commitment to Boston College! 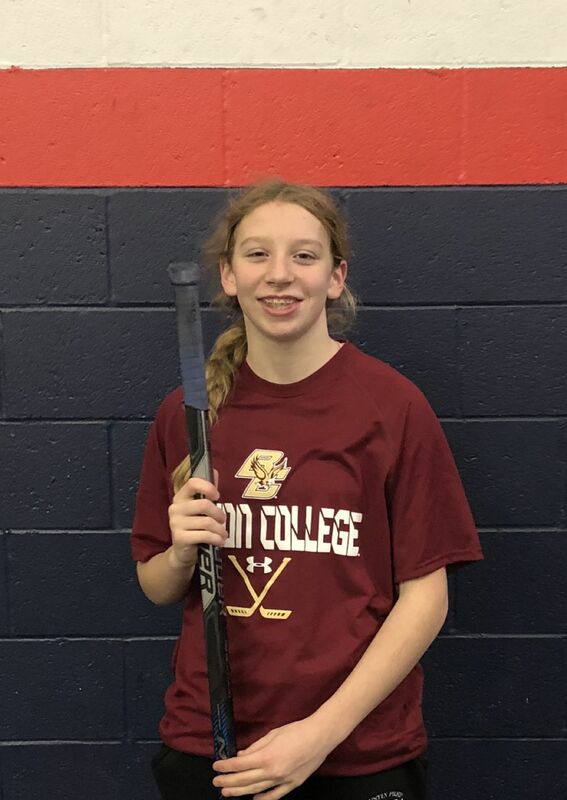 Sammy is currently on our U13 team and will join BC in the 2023-24 season. She is a very explosive forward with the ability to score goals. Sammy is known for being an offensive threat on the ice and is very unselfish with the puck. She is a very smooth skater with great acceleration. Congrats to Sammy on all of her success to date! Congratulations to our 3 Hockey East commits! 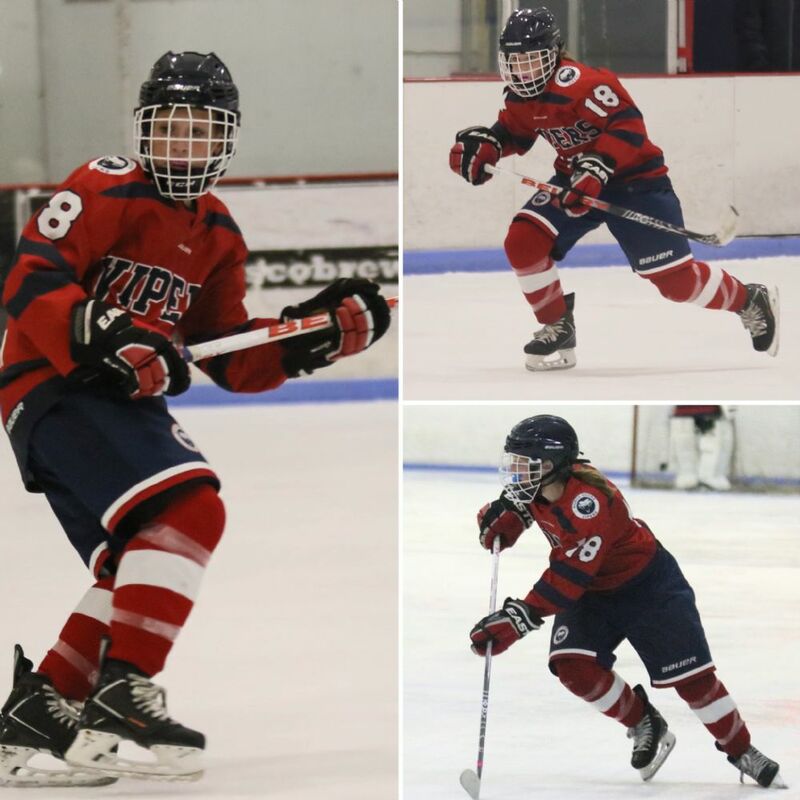 This Spring and Summer, the Vipers had 3 players off last years U13 National Champsionship team commit to Division 1 hockey! Congratulations to Margaret Sullivan on her commitment to Saint Anselm College in the fall of 2019! 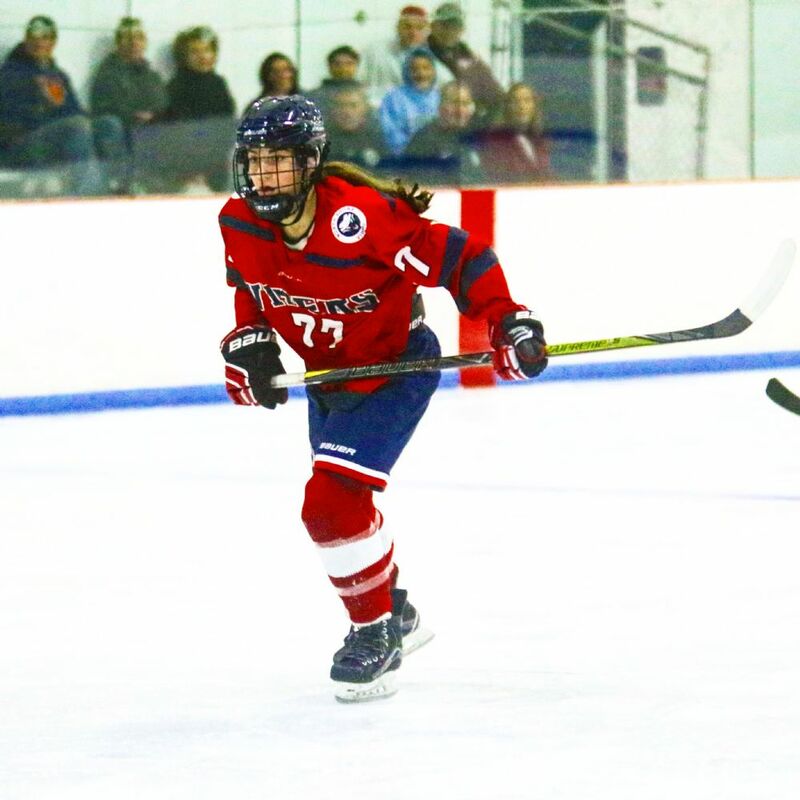 Margaret is a top forward on our U19 tier 1 team this fall and currently a senior at Cushing Academy. Margaret has played in the North Shore Vipers program since U12. She is a very explosive forward that uses her speed and aggression to create scoring chances. Best of luck at Saint Anselm College Margaret! 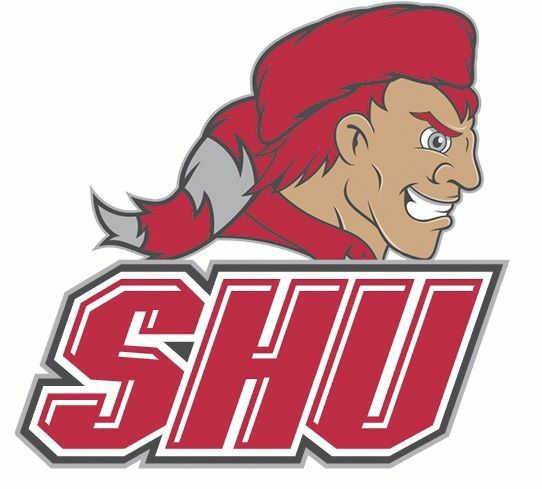 Three players from our 2018-19 U19 Tier 1 team committed to Sacred Heart University this fall! 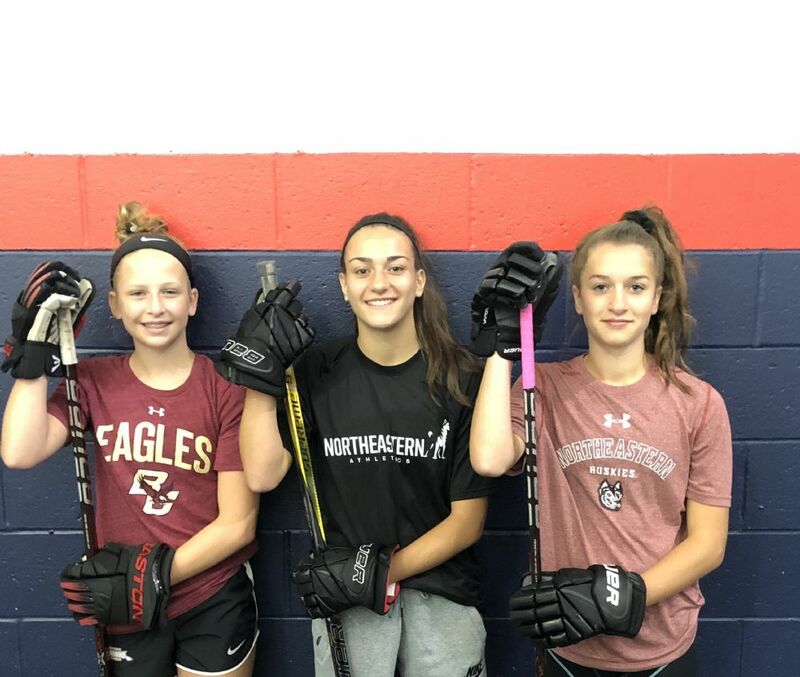 Erika Lizotte, Jordan Manning and Molly Elmore were all offered spots on the Pioneers hockey roster. Erika and Jordan will join SHU in the fall of 2019 and will play with former NSV defender Olivia Bryant (2020). Molly will step on campus in the fall of 2020. Congratulations to Mia Langlois on her commitment to Northeastern University for the fall of 2022! Mia played the 2017-18 season on our U13 team and was a top forward for the team! Mia led the team in goals all season and helped bring the Vipers program its first ever USA Hockey National title! Her strength on the ice is her ability to score goals at any point throughout the game. Mia is very dangerous offensively with great hands and scoring touch - she ended the season with 64 goals. Her vision on the ice makes Mia a well-rounded offensive player and she finished with 45 assists. 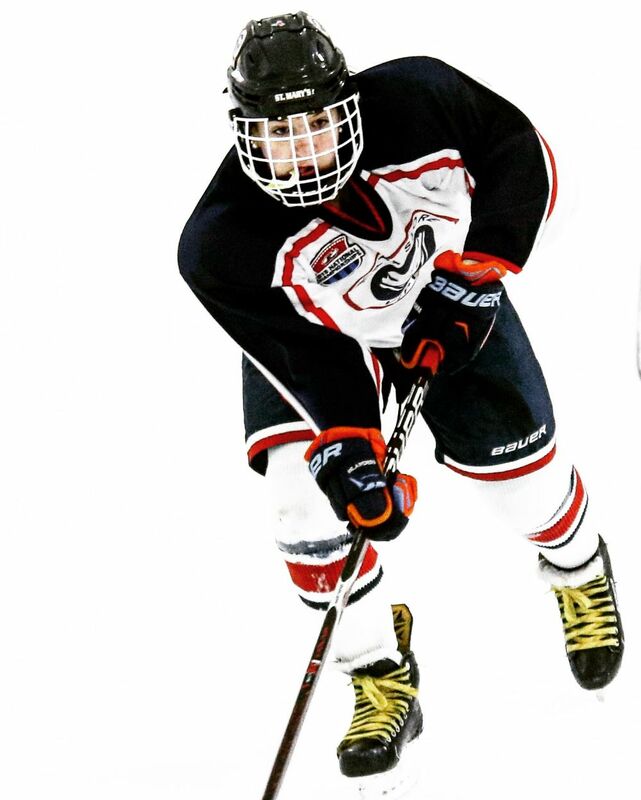 Mia will head to Cushing Academy this fall and play for our U14 tier 1 team. Well done, Mia! Congratulations to Lily Brazis on her commitment to Northeastern University! Lily played on our U13 team this past season. 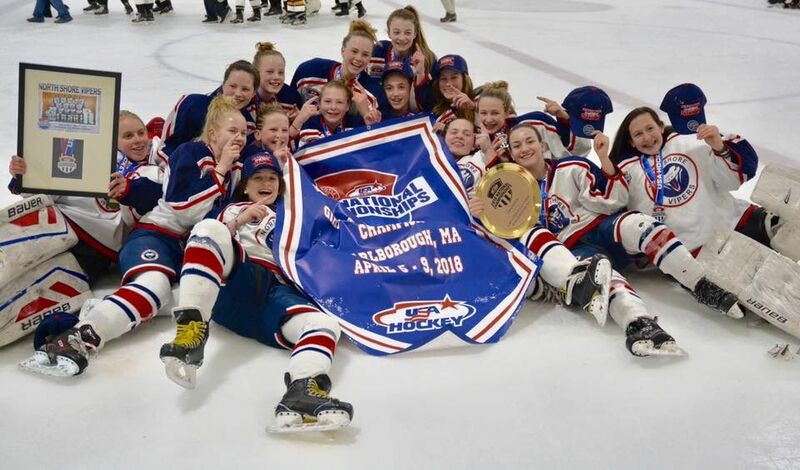 She was a key forward and helped her team win the USA Hockey Nationals at U14 tier 2 for the first time in program history. 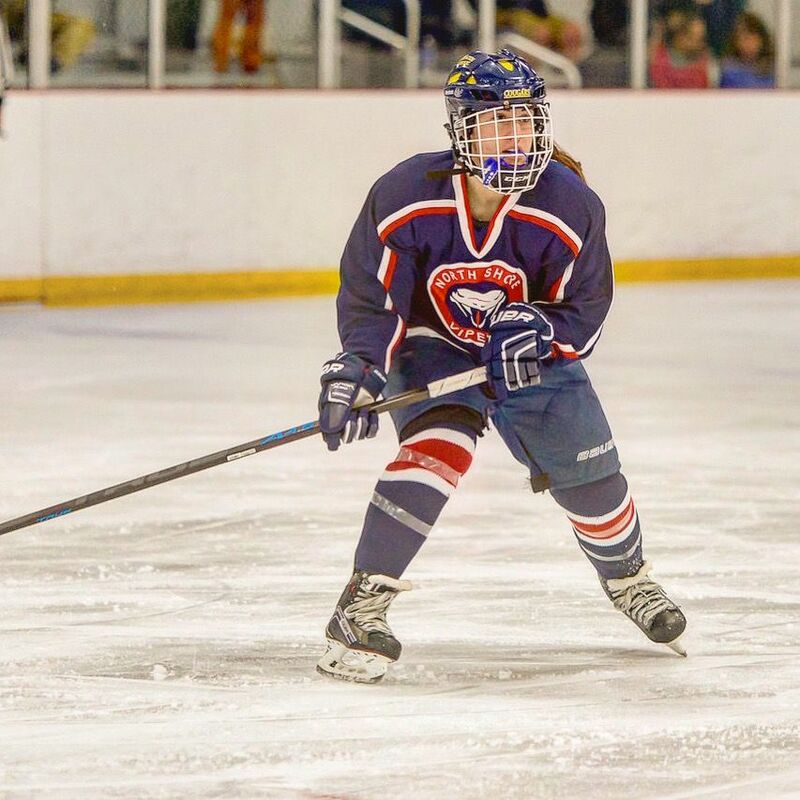 She will attend Cushing Academy this fall as a freshman and play for the Vipers U14 tier 1 team. Lily has always dreamed of attending Northeastern University. Congratulations Lily! Congratulations to Julia Pellerin on her commitment to Boston College! Julia played on the top line for our U13s team this year. She was very instrumental in the teams success throughout the season and helped the Vipers program win its first ever USA Hockey National Championship. On the ice, Julia is a great skater as she is very smooth and fluent. Her hockey sense allows her to be a scoring threat offensively and very reliable defensively. She sees the ice very well and is always involved in the play. Off the ice, Julia displays great character and leadership qualities making her well respected by her teammates and coaches. Next season, Julia will return to the U13 Vipers team and continue to work and develop her skills. CONGRATULATIONS to our U13 team on winning the 2018 USA Hockey National Championship!! The Vipers went 6-0 on the weekend! Congratulations to an amazing group of players, coaches and families on making program history and winning a National Championship!